Synopsis: In the sleepy town of Bratislava in 1933 a romantic girl falls for a bookseller from Berlin. Greta Weissensteiner, daughter of a Jewish weaver, slowly settles in with the Winkelmeier clan just as the developments in Germany start to make waves in Europe. The political climate in the multifaceted cultural jigsaw puzzle of disintegrating Czechoslovakia becomes more complex and affects relations between the couple and the families. Review: I like fiction books that can go outside of their basic remit to be a page turner, to excite and to thrill. In the case of Christoph Fischer’s epic series, I can honestly say I was informed and educated also. 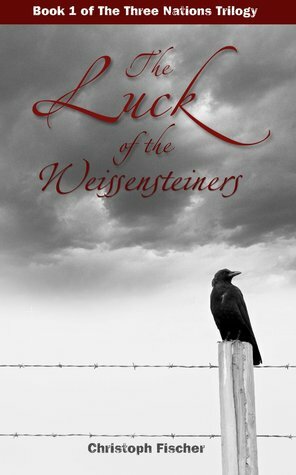 The Luck of the Weissensteiners is a truly epic historical work of fiction. When you are going through the early pages, the author goes to great lengths to explain the historical accuracies, but also where it is based on pure storytelling. Following the lives of the family, the stand-out characters for me are Greta and Wilma. As they make their journey from hell to safer parts of Europe, it is like we go on that journey with them. I was literally exhausted reading this book, but in a good way.